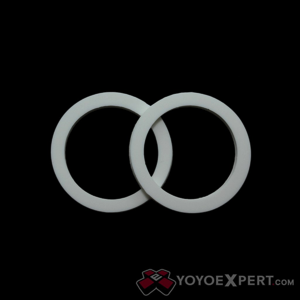 YoYoExpert Blog & Yo-Yo News – Turning Point K-Pad Restock! The Original Slim Pads! The ‘original’ Slim Pads are BACK from Turning Point! As silicone response was maturing and becoming a thing – Turning Point was at the forefront and are largely responsible for what we know as the ‘Slim Pad’ today! We are excited to continue to offer the ‘original’ slim pad in classic white and a ‘softer’ and more grabbier clear! TURNING POINT K-PADS AVAILABLE HERE!